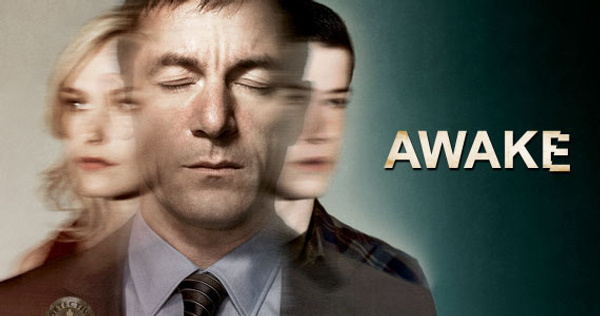 Awake has a premise that’s complicated to explain but was easy to follow when you watched it. Jason Isaacs (Harry Potter; Brotherhood) stars as a cop who was in a car accident with his wife and son. When he comes to, he thinks his son Rex died and his wife Hannah still lives. But when he closes his eyes to sleep, he enters an equally believable reality in which his wife died and his son lives. He toggles back and forth between these two states and quickly discovers that he just does not know which one is real. 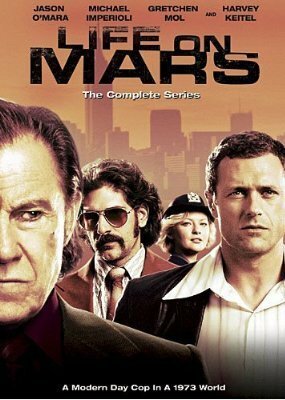 When I first started reading about the series a month or so ago, I couldn’t help but think of ABC's Life on Mars, America’s version of the original British series about another police detective, this one hit by a car in 2008 but wakes up in 1973—complete with a life and job. That series, like Awake, was stacked with great talent and good writers (up until the final episode, that is—don’t get me started) and Sam’s journey to discover what happened to him even as he began to care about and engage in a world he didn’t know whether was real or an illusion brought a lot of God-talk into these open spaces. So, what is really going on in Awake? Critics and fans alike are already speculating: Is one world real and the other not? Are they both real? Or are neither real? Is Michael Britten in a kind of purgatory, trying to work out his guilt about his role in the accident? Could he be lying in a bed somewhere comatose as his mind tries to work out and remember what happened? Or, since the pilot begins with the accident and lingers on Britten’s face, could we be seeing something like a what-might-be “flash-forward” instead of the traditional what-has-been life-flashing-before-my-eyes? Will the series end at the same place it begins? What is the larger story—and how does Britten’s life play into that? It all feels very Abrams-esque. But maybe I’m projecting something that isn’t there. Series creator Kyle Killen is a brilliant writer, but his work—most notably The Beaver and the short-run television series Lone Star—doesn't really have a speculative fiction edge. I am intrigued, however, by Tucker’s comment about the upcoming episodes which may add elements of spirituality and “deep-mythology.” The pilot certainly laid a rich foundation from which these could grow. But I’ll guess we’ll have to wait and see. Yet even if it doesn't end up with a deep-mythology element and instead favors a more “ordinary” explanation for Britten’s predicament, the series still has its hooks in me. In addition to the strong cast, worthy characters and fascinating premise, I am particularly intrigued by Killen’s comments about his work in The Hollywood Reporter: “I guess I like characters who, when they get to that fork in the road, want to go both ways at the same time. They can't pick a route, and they get to do what the rest of us wish we could do, which is pursue both of those things.” I’ve long been fascinated by why we make the choices we do and what paths those choices take us down. This kind of premise has the potential for some complex and interesting ideas to play out. I am also intrigued by how Maureen Ryan phrased a theme from an upcoming episode: “how we shape our realities to match what we want to believe, rather than to what is in front of us or what is too painful to face.” Another premise with great potential—and both of which could bring some interesting God-talk into these open spaces. I just hope Awake doesn’t go the route of Life of Mars. I don’t think I could handle another Wizard-of-Oz it-was-all-a-dream-in-space with-no-relevance ending. Somehow, though, I’m pretty sure Killen has something far better in store for us.